Now a days most of the people are addicted to social networking sites. This is the easiest way to get in touch with your friends and family. This can not be happen without the Internet. Suppose if you don't have electricity and you want to update your Facebook status or want to tweet any of your friend than how can you access your Facebook and Twitter account without the Internet connection? Yes, this is possible to update your status without Internet connection using text messages. 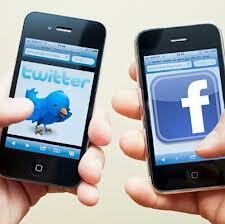 To tweet, once you need to enable your mobile phone on Twitter.com. For that go to your Twitter homepage > than to Settings > than Mobile. Insert your cellphone number to Activate Twitter text messaging and then you will have to text "GO" to the number 40404. After that you should receive text message telling that your phone is activated. Also see new setting on the web pages that allow you to enable or disable text notifications. Now to tweet just write a text message and send it to 40404. Like twitter you can also update status of Facebook account via SMS. The social site also gives you the ability to subscribe to your friends also. For this you also need to link your mobile phone to your Facebook account. First of all log into Facebook.com and go to "Account Settings". Then go to Mobile , insert your cellphone number and click on "Activate Text Messaging". You have to select your country and your carrier. Once you done then follow the instruction on the screen and text the letter "F" to the number 32665. You will receive a confirmation number on your cell. Insert that number on the page. After that another text message will confirm your phone is activated. To update your status you need to write a text and send it to 32665.